This model was originally designed for Gorkamorka, and then became part of Warhammer 40K with Codex Orks. See the latest updates here. For information on how I painted my original Wartrakk look here. 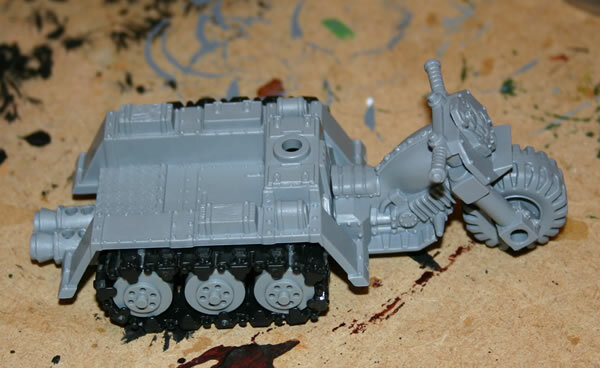 I intend to follow the same process I used for the Grot Bomb Launcha. 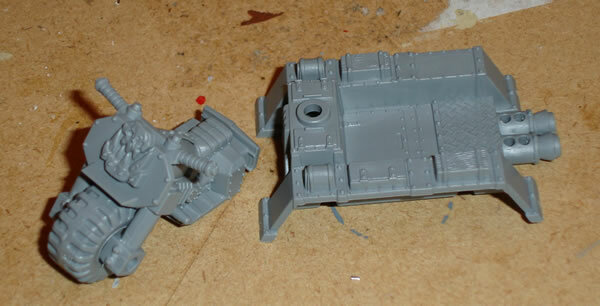 I started by gluing the engine component together and added an Orc Glyph from the Orc Warriors shield sprue. 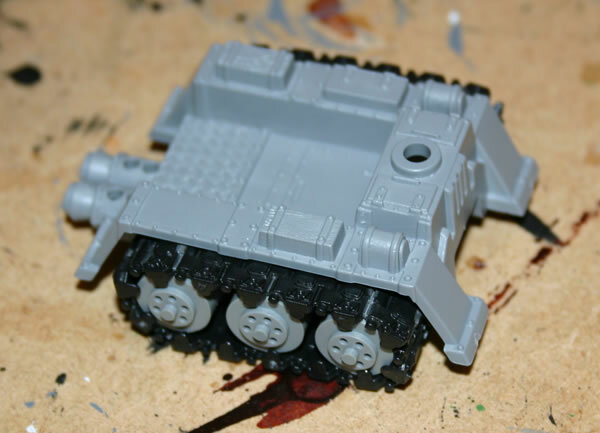 Rather than use the supplied tracks I wanted to do something different which would make the Wartrakk look different to the others in my army. 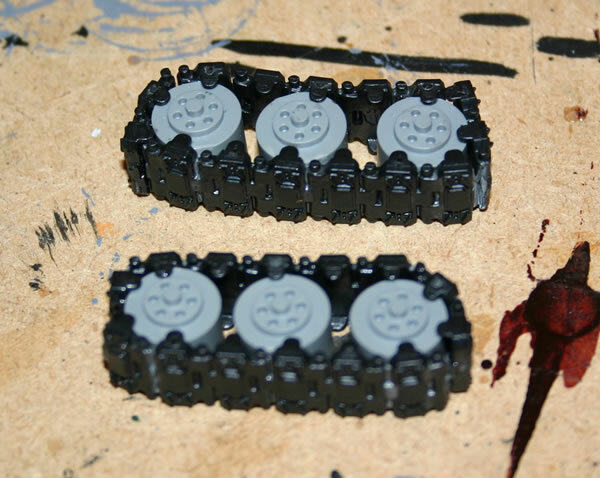 Using some old Imperial wheels and tracks (which I got in a Gorkamorka Gubbinz bag and had already glued together) I cobbled two tracks using three wheels. The tracks were a bit rubbish as they were broken as I broke them from the original scratchbuild tracks for a model that I really never started. 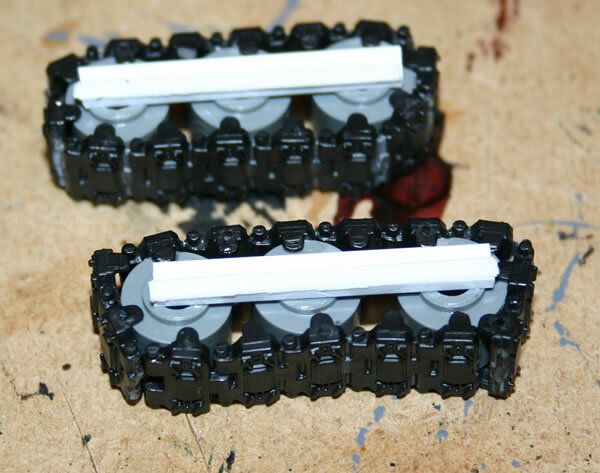 I added some plastic strip at the back so I could then glue them to the hull of the Wartrakk. A quick fit later and I was quite pleased with the result. This was then how it was looking.